A tragic accident took place in Britain last Sunday, and it's drawing attention to a potential safety hazard you really should consider. 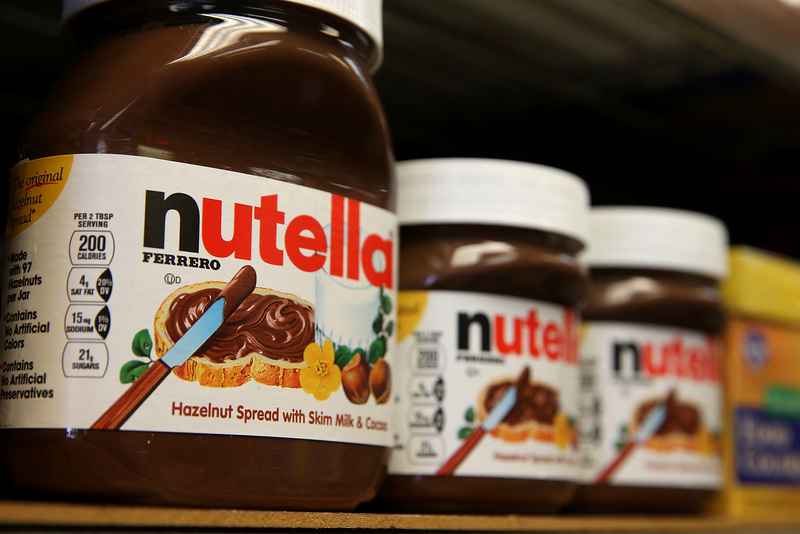 In the southwest London town of Twickenham, an empty Nutella jar set a family's house on fire. Luckily, Declan Murphy, his wife Lindsay, and his two children were out for dinner when the blaze set off, so no humans were harmed. But their family dog Chili was not so fortunate — he died from the smoke. Here's what's believed to have happened, as reported by Get West London: Murphy's 7-year-old daughter Kyra had an old Nutella jar full of rubber bands sitting on her bedroom windowsill. After the family had left home, to fete Lindsay and Declan's engagement anniversary, some sunlight shone through Kyra's window and caught the clear, glass jar, acting as a magnifying lens. It ended up sparking the fire. It's a tragic story that makes for an undeniably peculiar headline. It also underscores a safety issue that's entirely important to know about, and one I confess I'd never fully considered myself. Namely: If you leave clear, glass objects sitting in-line with direct sunlight, there's a risk of it going terribly wrong. And apparently in London over the last three years, it's been a somewhat prevalent risk — the London Fire Brigade has said that 125 of these kinds of house fires have occurred in the British capital over the last five years. Maybe I'm uniquely naive or uninformed about these sorts of safety issues, but I'm entirely willing to admit that it had never occurred to me. Fortunately, and entirely by happenstance, I've never had to pay a price for that lack of knowledge — it really does seem like the sort of safety measure anyone could miss, so you should double-check your home. Declan Murphy suggested as much to Get West London, after the fire. We're all heartbroken at Chili's death and we've been told it will be up to a year before the house is ready for us to move back into. I want to ensure other people are aware of the dangers and know to keep glass items away from windows and out of direct sunlight so they don't have to go through anything like this. Hopefully this awful situation can at least inform some people who wouldn't otherwise have known, although that's probably only partial comfort to a family mourning the loss of a beloved pet. London Fire Brigade investigator Charlie Pugsley advised caution after the accident stating that these sorts of sunlight-fueled fires are "not an urban myth." It sounds far fetched that a jar containing a few rubber bands caused a severe house fire but that's exactly what happened. It's worth spending five minutes checking that your window ledges are clear of any glass or crystal that might lead to a potentially life changing blaze.